Jasper Hill is a working dairy farm with an on-site creamery in the Northeast Kingdom of Vermont. An underground aging facility maximizes the potential of cheeses made by the creamery, as well as those made by other local producers. Leftover whey from the cheese making process is fed to heritage breed pigs, roaming the woodlands beyond the cows’ pasture. Jasper Hill Farm boasts a herd of about 45 Ayrshire cows. While Ayrshires are not a high production breed, their milk has a high solids content and small fat globules, making it exceptional for cheese making. They are a pasture based dairy; in their climate, this means that the cows are on pasture roughly from May through October, or as long as weather permits. During the growing season their cows graze on lush pasture grasses, and in winter the cow’s forage is replaced with dry hay and their diet is supplemented year-round with a non-GMO grain ration that maintains digestive health and stabilizes milk components. Their cows are milked twice a day, and chores can take 3-4 hours for the herd due to their meticulous practices. Jasper Hill is a firm believer that cleanliness and the health and diet of the cow are paramount for good milk. The Cellars at Jasper Hill Farm is an innovative 22,000 square foot underground facility, constructed for the purpose of providing affinage, or aging expertise, as well as distribution and marketing services for local cheese makers. At the Cellars, they ripen cheese made by Jasper Hill Creameries as well as those made by several other producers. Each cheese in their collection is made from a single herd of cows. Fresh wheels are introduced to one of seven specially calibrated vaults, where they receive customized care until perfect ripeness. 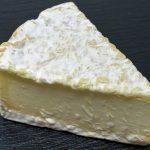 Below are a list of Jasper Hill’s award-winning cheeses listed by creamery. If you’d like to check our availability on any Jasper Hill cheeses, please contact us. If you’d like to learn more about local cheese or cheese specific to Vermont, visit our Cheese Products page. See something you like? Place an order with us. 2006 ACS "Best of Show"